A study led by the University of Southampton has found that pouring emollient additives into the bath do not add any benefit over standard management. The Bath Additives in the Treatment of Childhood Eczema (BATHE) trial was funded by the National Institute for Health Research (NIHR), and the University worked in partnership with the University of Bristol, Cardiff University and the University of Nottingham. The study, titled ‘Bath additives for the treatment of childhood eczema (BATHE): multi-centre pragmatic parallel group randomised controlled trial of clinical and cost-effectiveness’ has been published in The BMJ. 482 children from 96 general practices took part, making it by far the largest trial of emollient bath additives to date. Children were randomly allocated to two groups: one group was asked to use bath additives for a whole year and the other was asked not to use them for a whole year. Families completed short questionnaires weekly for the first 16 weeks, then every four weeks from 16 to 52 weeks. The study found there was no meaningful difference in eczema severity between the groups over the year. There was also no difference in the number of problems experienced with bathing, like stinging or redness following the bath, which affected a third of children in both groups. Standard management of childhood eczema includes soap avoidance, leave-on emollients and corticosteroid ointments. 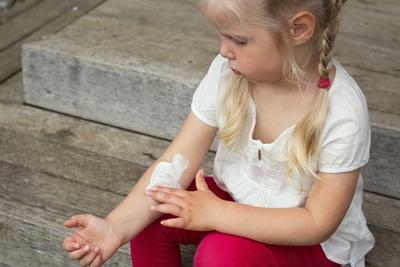 Families of children with eczema are advised to continue to use these treatments. This research has shown that pouring emollient bath additives into the bath water is very unlikely to offer extra benefit. Dr Miriam Santer, from the University of Southampton and chief investigator, said: “The findings from this trial show that pouring bath emollients into the bath water doesn’t really help children with eczema and parents would be better off directing their energies at using leave-on emollients and avoiding soap. 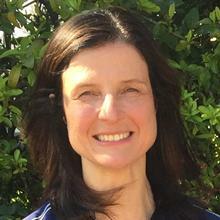 Dr Miriam Santer is Associate Professor in Primary Care Research within Medicine at the University of Southampton and a GP at Denmark Road Medical Centre in Bournemouth.